Below, we talk to two of those recruits: Jason Frazier, former In-N-Out manager, and Brandon Wlasichuk, who worked in maintenance at the restaurant for nine years. Both joined Screenmobile within the last two years. They loved their burger jobs, but knew it wasn’t a lasting career. Now they’re franchisees in Bakersfield and Visalia, California. They’re not delivering burgers in that truck. Frazier: Yes. While working at In-N-Out, I was attending Santa Ana College, completing their Fire Academy, as well as Golden West College, working on my A.A. degree. I have always wanted to own my own business, I just didn’t know what it was going to be at the time. Wlasichuk: I always wanted to own a business too. I was never sure exactly what I wanted to do, but I always knew I wanted to be my own boss. When the Screenmobile idea was presented to me, it was too good to pass up. How did In-N-Out prepare you for owning your own business? Frazier: I got the courage one day to finally ask my boss what it would take for me to become a store manager. His answer was to make quality a big deal and be a role model to lower-level associates. Once I became a manager and began training others, I started seeing a lot of the business side of it and really why In-N-Out is so successful. Essentially, it’s because they have a great product that’s prepared consistently throughout the stores. And they treat their associates right and train them well. In return, they get happy customers. My store manager always challenged us to be our best every day. I learned how to communicate well with customers and associates, how to interview and evaluate new employees and develop my leadership skills as a whole. In-N-Out taught me how to work hard, keep track of inventory, reduce product waste, the importance of customer service, and to strive to be my best every single day. Wlasichuk: Pretty much the whole screening world was new to me when I started. So building doors and window screens took a good chunk of time. 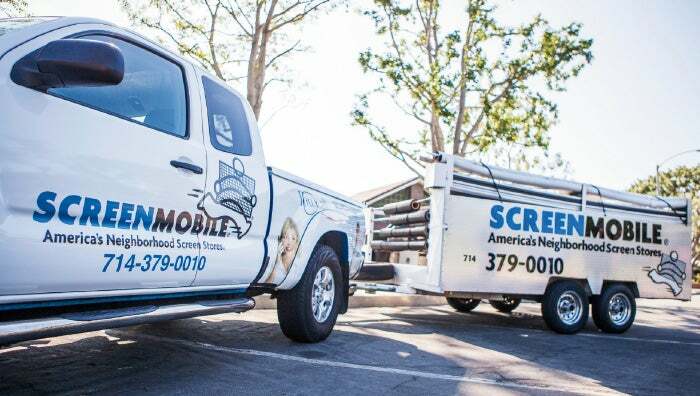 Screenmobile University is an extensive two-week training course that teaches all new franchisees everything they need to know about running a business, as well as how to install, manufacture and repair screens. This was an extremely helpful tool. Frazier: When I first got involved with owning and operating a business, the main skill I needed to improve on was communication. Communication can’t be overlooked as a vital skill in franchising. Sometimes I’d have to remind myself to slow down in conversation and really listen. Other times I’d have to make sure there was absolutely no confusion in a message before I sent it to the shift team. This is a skill I continue to work on improving every day. You’ve been in business almost two years. Does In-N-Out still influence you? Wlasichuk: In-N-Out is great with customer service and very good with their employees. I do my best to make sure I never forget where I started from and always focus on customer service first. Once we started to hire employees, I remembered how I was treated by my employer and managers above me. In-N-Out taught me about the value of a well-run business and an appreciated team.